Welcome to the TotalABA training page. These videos and documents will allow you to learn the TotalABA system at your own pace. The videos are listed in a chronological order but can be viewed as you choose. Please note that the Flash version should be used when watching the videos from your computer. The iPad version is designed specifically for an iPad. We hope you find these documents & videos helpful! 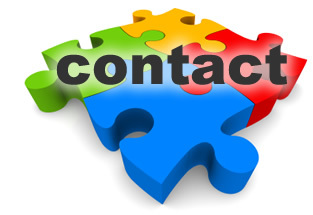 If you require further assistance, please contact support@inviscidsoftware.com. Using TotalABA - This document explains how to navigate around the TotalABA application. Inviscid TotalABA Help - This document explains the intended usage of each section in the application along with any notable workflow condition and initial setup instructions/settings. It is also an excellent reference for help on various fields in the application and is always up to date with each new version of TotalABA. Inviscid TotalABA Clinical Help - This document explains clinical portion of TotalABA, which consists of the following tabs: Assessments, Lesson Categories, Lesson Plans and Treatment Plans. These pieces have been added in order to help your practice maintain, document, and analyze your student's history and progress. User Management in TotalABA - This document covers how to manage the users in your organization. This includes creating, modifying, deactivating users, sending reset password links, and requesting new user licenses. Student Level Security & Setup Guide - TotalABA supports restricted user access for appointments, students and their related records. In order to utilize this security in your practice, you should complete setup guide at the end of this document. If you have any questions or concerns, please contact support@inviscidsoftware.com. Inviscid TotalABA Tips & Tricks - This brief document covers several frequently asked questions along with other various tips and tricks that will help your daily use of the TotalABA application. Inviscid TotalABA Security - The TotalABA application utilizes a flexible security model tailored around the various sections in the application. This document explains all the various security groups and permissions that are currently available. If the standard security as described in this document does not work for your practice, or if you have any questions, please contact us. TotalABA Release Notes - This document lists the updates to the TotalABA application that contain changes that may affect your practice. TotalABA and Microsoft Internet Explorer Version 10 - Unfortunately, certain pages in TotalABA may display issues when using MS IE 10. It is not a TotalABA issue, instead it is a problem between Salesforce and Microsoft. This document contains two solutions that can be used to fix the display problems if you are experiencing them. We offer both a Flash and an iPad version of all our training videos. Please choose the appropriate version for your device. TotalABA Introduction (Flash version) / (iPad version) - This video introduces the basic fundamentals of logging in, navigation and basic customization of the TotalABA software. This video should be watched by all users first before using the system. Student Registration (Flash version) / (iPad version) - The Student Registration video shows the process of entering a student record into TotalABA. A student must be entered into the system before any scheduling, billing or documentation can be done. Scheduling (Flash version) / (iPad version) - The scheduling video contains instructions on how to use the calendar in TotalABA. This includes creating and editing appointments for students as well as creating non-student appointments. Sessions (Flash version) / (iPad version) - The Sessions video will instruct you on the creation of sessions as well as the session workflow. 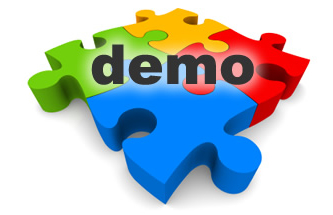 The session is the main billing and documentation piece in the TotalABA software. This video is specifically designed for clients using MRC as their billing service. Authorizations - The Authorizations video will instruct you on how to create and track insurance authorizations provided by the insurance company. 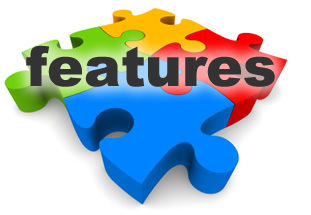 This feature allows you to see how many visits, time, etc. a student has left until their authorization expired. This video also covers authorizations for T-codes and multiple procedure codes. Clinical Edition Training Webinar Recording - This is a recording of a webinar that was held upon the release of our enhanced clinical edition functionality. This webinar contained training on the data collection functionality within TotalABA.